Photos taken in July, 2006 around Spitsbergen and other parts of Svalbard, which is in the "high Arctic," between latitudes 78 and 81 degrees N.
"Mommm? What do we do now?" 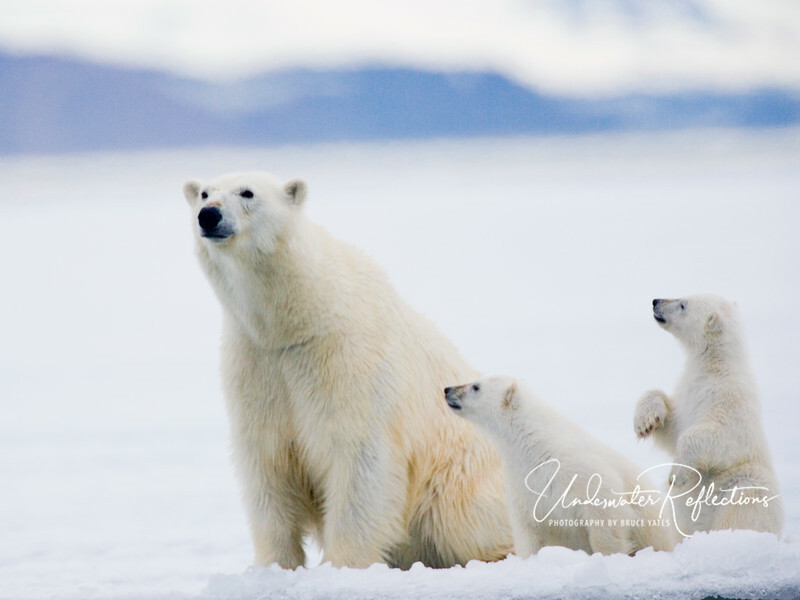 This was our favorite shot of the trip, due in large part to the standing cub's implied message. Photos in this gallery were taken with three Canon DSLR cameras: 1Ds Mark II, 1D Mark II-N, and 20D. Polar bear photos were taken with long lenses from bobbing zodiaks, so very high shutter speeds were necessary to try to freeze the action.